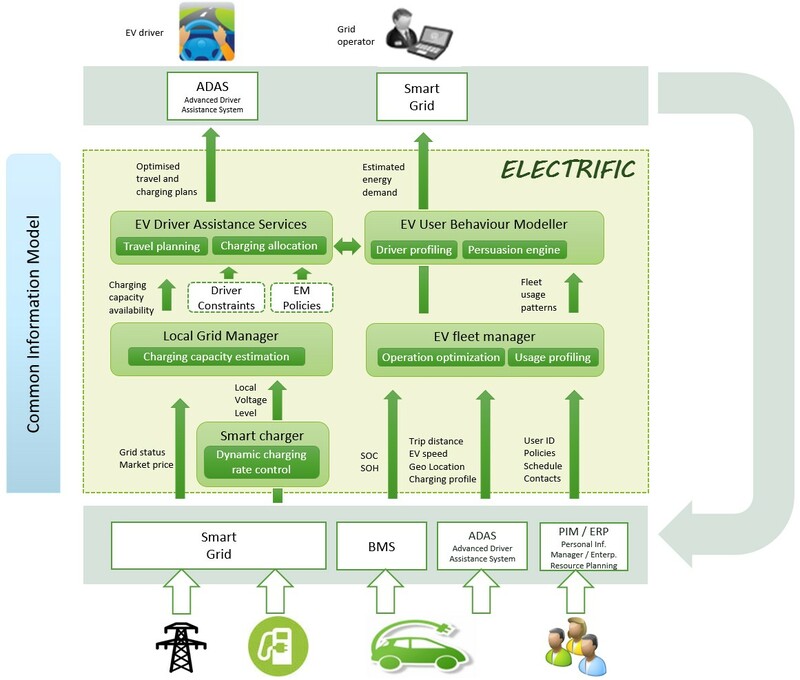 ELECTRIFIC is a new Horizon 2020 collaborative project that was submitted to the Electric vehicles’ enhanced performance and integration into the transport system and the grid call and selected from among more than 40 competing proposals. Significant improvements to electromoblity can be unlocked by increasing coordination of all the actors in the electromobility ecosystem. ELECTRIFIC will therefore deliver novel smart techniques and ICT tools for enabling such coordination among drivers, electricity providers, charging station operators and electric vehicle fleet managers. ELECTRIFIC comprises a balanced consortium of experienced research partners, energy providers and innovative electromobility SMEs. The results of the project will disseminated in the scientific community and rolled out to commercial use from e-bikes to e-buses, from private owners to government services and including crossborder mobility. The project will be performed within the Artificial Intelligence for Transport and Mobility group, AIC under the supervision of Dr. Michal Jakob.